Yes, Star Wars and Disneyland geeks and freaks, (and everyone else, too), Disneyland is about to hold its first ever "Stars Wars Nite" at the park, for those of us who just can't get enough of the fun. This is in anticipation of the next movie in the Disney Star Wars franchise, plus of course the anticipated opening of Star Wars: Galaxy's Edge in July 2019. 1. The "Star Wars Nite" will be held on Thursday, May 3, when the park will close early for this special event. You can arrive as early as 6 p.m. with the general public, the party officially runs from 9 p.m. to 1 a.m. As some of you know, May the 4th is considered "Star Wars Day" to some, but now the most avid fans can get a sneak peek. 2. You have to buy a special ticket to get in, which costs $99. You can only buy eight tickets per person and, sorry, annual passholders do not get a discount. Parking is not included. 3. Yes, you can wear costumes. Normally, Disneyland prohibits adults from wearing costumes because too many were posing with guests and generally trying to usurp the role of the official park characters, but for this night, go for it. Think about how easily you'll be able to go on rides and dance, though! 5. The movie character Rey will be there. 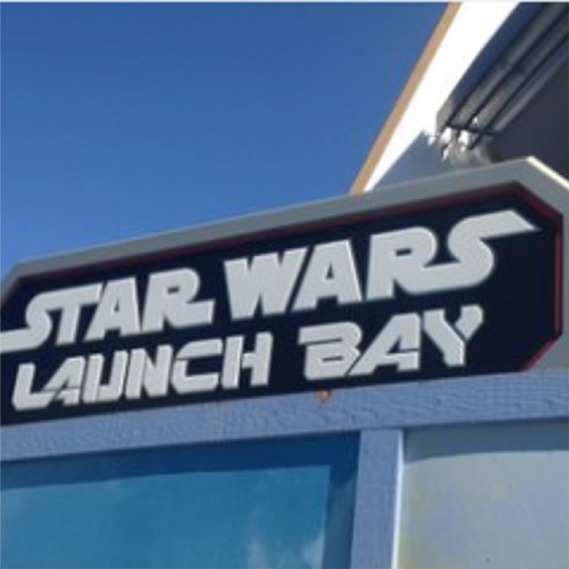 Yes, you'll have the first chance to see the new Rey character at Star Wars Launch Bay in Tomorrowland, who's about to make her debut as a regular character. So, technically, is she is Disney princess? If so, she's a pretty bad-a- one. 6. This event is going to sell out, mark my words, so buy your tickets as soon as you can. Annual passholders can buy starting Tuesday, March 27, everyone else on Thursday, March 29. You can buy online or in person at a ticket booth, or call (714) 781-INFO or (714) 781-4636. 7. Ticket holders will also get the first peek at the new "March of First Order" at Tomorrowland, during which Captain Phasma guides a squad of First Order storm troopers through Tomorrowland in a dramatic show of force. 8. Get back on Hyperspace Mountain! Yes, this version of Space Mountain will be back, and ticket holders will have it to themselves at this after-hours event. Also, some of the park's favorite rides like Star Tours, It's a Small World, Big Thunder Mountain Railroad, the Matterhorn and the Jungle Cruise will also be open to ride. 9. There will be a "Galactic Dance Party" so get ready to bust some moves. 10. There are security rules for costumes. You're not allowed to pose for pictures or sign autographs, your outfit must be appropriate for a family park - not vulgar or violent - and it can't contain sharp objects. Costumes can't reach the ground and if they're too big, they'll require special security screening and you'll have trouble going on the rides, anyway. No masks allowed, except for kids under 14 who can wear partial masks if the eyes are visible. Adults age 14 and older cannot wear any masks (except medical ones) as well as hats, transparent wings and tutus.